Hello, Boss I can't come to work today. 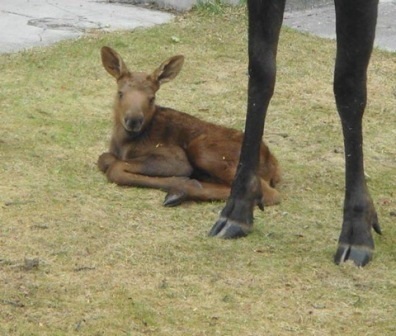 A moose was born on my front lawn and the Mama won't let us out the front door! 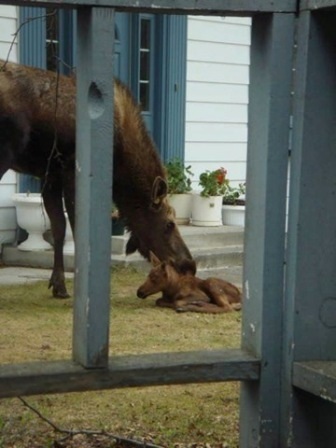 Baby Moose, 12-hours old, born in the middle of downtown Naubinway , MI . 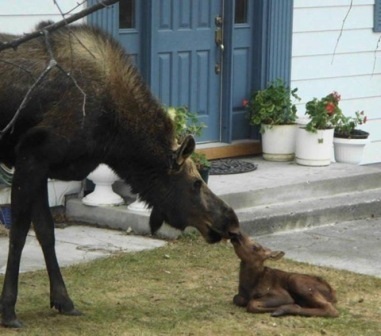 "Makes it really tough to use the front door!" Route US-2 about 49 miles west of the Mackinaw Bridge in the Upper Peninsula of Michigan . 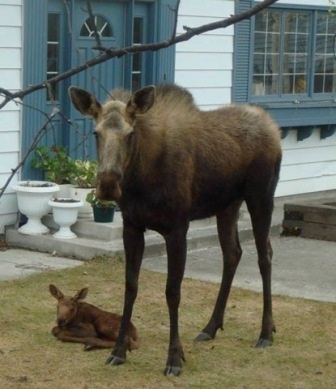 In my 33 years of living in Michigan 's Upper Peninsula, I have never seen a new-born baby moose. 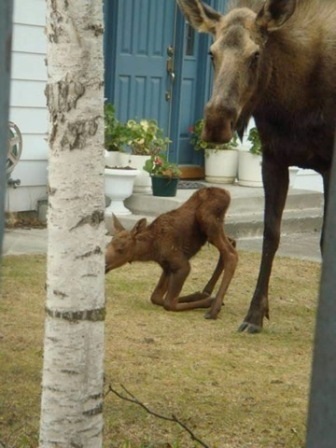 The mother picked a small quiet neighborhood and had her baby in a front yard, near Highway # 2, at 5:30 AM. We were bike riding when we came upon the pair. 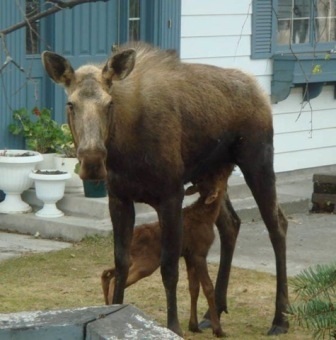 The lady across the street from the house said she saw it being born. 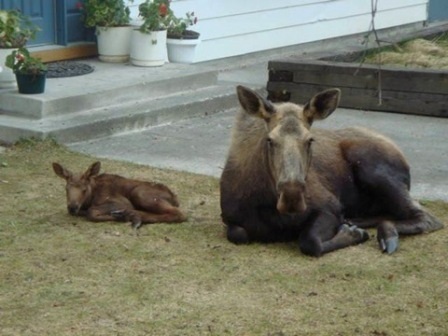 We saw them at 5:30 PM, so the little one was then 12 hours old.